eight + 7 = Required Please enter the correct value. Remember when Microsoft was left for dead? For more than a decade after the dot-com bubble, shares of Microsoft languished in the $20 range. The stock went nowhere, victimized by its prior success and lack of motivation to innovate. It was content to just hold a vice grip monopoly on operating software. Don't mess with a sleeping giant. It turns out those betting against Microsoft finding a new product to sell were wrong. Since replacing its CEO with a more innovative leader interested in exploiting new markets like cloud computing, Microsoft stock has exploded higher. Shares are up some 450% since 2012. That massive return was fueled by what was once considered the next monster breakthrough in the world of technology. Today, many of the same naysayers are betting against Apple stock. Gone are the days of innovation, they say. In its place is a staid company that deserves a much lower valuation. And just like cloud computing set up a massive rally in shares of Microsoft, the 5G boom is poised to do the same for Apple stock. At the moment, Apple phones are not built for the rollout of 5G. This may or may not have been an intentional move on the part of Apple management. What's the biggest thing dogging Apple stock today? Sales of the all-important iPhone have hit the flat line. The upgrade cycle of buying new phones has been extended. However, nothing will change that quicker than demand for critical technology. 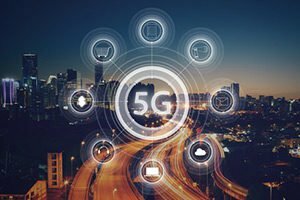 Given the importance of 5G and the interconnectivity of all things, investors may have found their catalyst for consumers buying new phones. That catalyst is needed to propel the stock out of its current rut. Make no mistake, Apple is still up more than 7% in the last 12 months, compared to 4% for the S&P 500. But for Apple investors used to big gains, this still feels like a "rut."